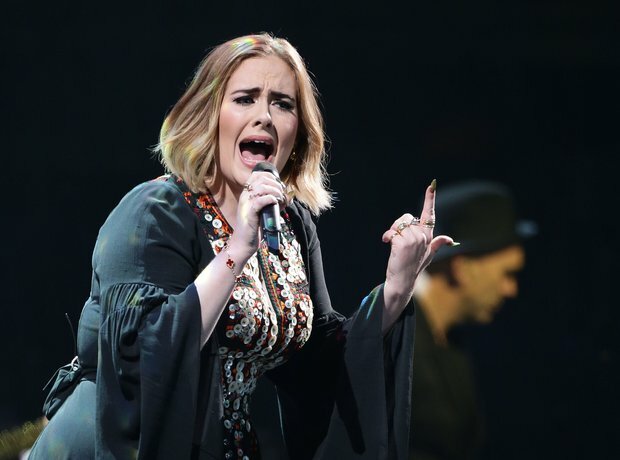 Adele had to cancel her two Wembley Stadium shows this weekend. We look at the other famous (and sometimes bizarre) times the music didn't happen. In 2015, Foo Fighters had to cancel a string of UK and Europe dates (including slots at Werchter and Glastonbury festivals) after Dave Grohl took a tumble from the stage during a gig in Sweden. Florence And The Machine stepped in at Glastonbury and Dave returned to Worthy Farm two years later. T In The Park 2015 was in danger of being cancelled due to a rare species of bird nesting on the festival's new site. Approval for the festival was given after organisers ensured that the ospreys were looked after. Those blummin' birds had the last laugh though - there was no festival for 2017 as they were back with a vengeance. To celebrate being inducted into the Rock N' Roll Hall Of Fame in 2014, Kiss agreed to play the gig with their original lineup. However, the ex-members weren't particularly keen to share the stage with the musicians that had replaced them, and the make-up clad rockers cancelled the performance. In 1990 The Rolling Stones cancelled a show in Cardiff and two shows at Wembley Stadium because Keith, um, hurt his finger. Apparently the lead guitarist cut it on a knife and, after contracting an infection, couldn't play the shows. Although they stated it was an infection, we think it's because plasters are just *so* uncool. Oasis's headline booking at V Festival 2009 would end in disaster. After playing the first show of the weekend at the Staffordshire site, the band cancelled the Chelmsford leg of the weekend. Why? A press release said that Liam Gallagher had laryngitis, but speculation began to spread that the brothers had had a huge argument post-show. A few days later they split, never to play together again, which seems to confirm that speculation. By 1995 The Stone Roses were on their last legs. A series of secret "come-back" shows were booked but cancelled once the press got hold of them. The biggest cancellation, however, was their slot at Glastonbury. However, this wasn't down to feuds, it was because Squire had broken his collarbone a week before in the US while mountain-biking. Oh John Squire, will you ever learn? Now we think almost everyone who was a fan of Babyshambles encountered some kind of cancellation at some point during the band's career. But one of times that it wasn't because Pete was too "ill" to perform was in 2008. They were booked to play Moonfest in Whilshire but had their headline slot withdrawn after local police believed the band would draw the wrong crowd. According to Superintendent Paul Williams, their shows can "easily be whipped into a frenzy" and he pulled the gig. Her struggles with addiction made seeing Amy Winehouse a rare occurence in her final days, especially in Europe. In 2011, the soul singer cancelled a bunch of European dates after a gig in Belgrade was supposedly so awful her management decided it was best to not continue at all. She was apparently drunk and even opened the show by saying "Hello Athens!" So sad. 14. Mötley Crüe have "snow on the roof"
Perhaps our favourite reason on the list, back in the eighties Motley Crue cancelled a show in London because there was "too much snow on the roof" of the venue. There's not much more we can say, really, apart from you need to read their autobiography The Dirt to find out why this sort of thing went on. Back in 1995, the band had to cancel a number of dates, including a high profile London show, while Rivers Cuomo had one of his legs lengthened. That's right, the singer was born with one leg shorter than the other and had to undergo a nasty op that saw surgeons break his limb and add a brace that stretched it a little at at time.